152 pages | 10 Color Illus. | 37 B/W Illus. 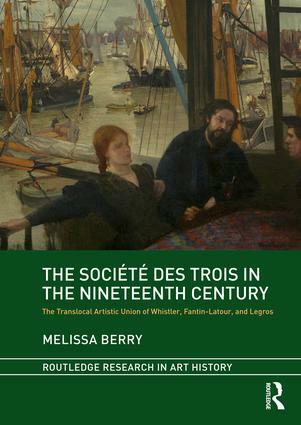 This book reframes the formative years of three significant artists: Henri Fantin-Latour, Alphonse Legros, and James McNeill Whistler. The trio’s coming together as the Société des trois occurred during the emergence of the artistic avant-garde—a movement toward individualism and self-expression. Though their oeuvres appear dissimilar, it is imperative that the three artists’ early work and letters be viewed in light of the Société, as it informed many of their decisions in both London and Paris. Each artist actively cultivated a translocal presence, creating artistic networks that transcended national borders. Thus, this bookwill serve as a comprehensive resource on the development, production, implications, and eventual end of the Société. Melissa Berry is an instructor in art history at the University of Victoria, Canada.